The truth about abortion abuses in New Mexico and the facts that you must know when it comes to abortion in our state. Home Press Releases The truth about abortion abuses in New Mexico and the facts that you must know when it comes to abortion in our state. New Mexico does not have any laws restricting abortion whatsoever and it is one of 15 states that currently uses state tax dollars to fully fund abortions for women who have NM Medicaid. In 2011 alone 1,786 abortions were paid for in NM by Medicaid costing taxpayers over 1.1 million dollars. New Mexico is the “Late Term Abortion Capital of the Country” and is the abortion capital of the Southwest. Every week, women come from all across the world to Albuquerque to obtain dangerous and risky late term abortions through all nine months of pregnancy. New Mexico law criminalizes the practice of late term abortions that are performed outside of hospitals. However, this law is not being enforced, leaving women to suffer at the hands of unregulated abortionists. New Mexico is also one of 10 states that have no common sense laws such as parental notification, informed consent or any gestational restrictions on abortion. Abortion clinics in New Mexico are under regulated and the surgical portion of each clinic is not currently being inspected by the NM Health Department-ever. In 2011-12, Tara Shaver and Operation Rescue filed Medical Board complaints against the abortionists’ at all three abortion clinics in Albuquerque. These complaints were based on fourteen 911 calls that documented serious abortion injuries as well as a lawsuit filed against Planned Parenthood of NM. As a result, in November of 2012, late term abortionist Shelley Sella faced a Medical Board hearing after she violated the patient standard of care during a 35 week full term abortion in Albuquerque. Disciplinary action against her license is currently pending. 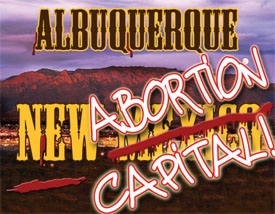 Governor Martinez and Mayor Berry have been informed of these facts, yet abortion abuses still continue in Albuquerque. The New Mexico Medical Board has most recently refused an investigation into a complication that took place at the Planned Parenthood surgical abortion center in Albuquerque. Lynn Hart, Executive Director of the New Mexico Medical Board and the Board itself has shown that they are unwilling to do what it takes to protect the public. The University of New Mexico runs its own free standing abortion clinic in Albuquerque. This clinic is being used to train Resident students to perform abortions up to 22 weeks gestation. At least three women have endured serious injuries at this clinic. Tara Shaver and other pro-life advocates have met with UNM Board of Regents President Jack Fortner to bring awareness to all of the Regents about UNM’s abortion agenda. The Dean of the UNM School of Medicine Paul Roth is also fully aware of the danger the UNM abortion clinic poses to the public. None of these men have made an effort to bring about change at UNM and women’s lives continue to be in danger. Late-Term Abortion facility Southwestern Women’s Options in Albuquerque is harvesting aborted baby body parts for medical research. 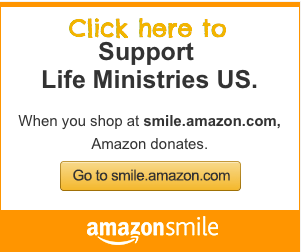 In July 2015, Protest ABQ filed a formal criminal complaint with the Attorney General of New Mexico and two consent forms, one obtained by Pro-Life Witness from 2012 and a newly obtained consent form, which was obtained by Protest ABQ, this year 2015 from Southwestern Women’s Options (SWO) were submitted as proof of their using aborted baby body parts in medical research. BREAKING: Southwestern Women’s Options is currently under criminal investigation by the New Mexico Attorney General for being the SOLE provider of baby body parts to the University of New Mexico for experimental research. Here are some important articles to read that Bud and Tara Shaver have researched and uncovered about abortion in New Mexico. Please familiarize yourself with the information contained in these links and share this information with others! How Much Money Does it Take For New Mexico GOP Leadership to Turn A Blind Eye?